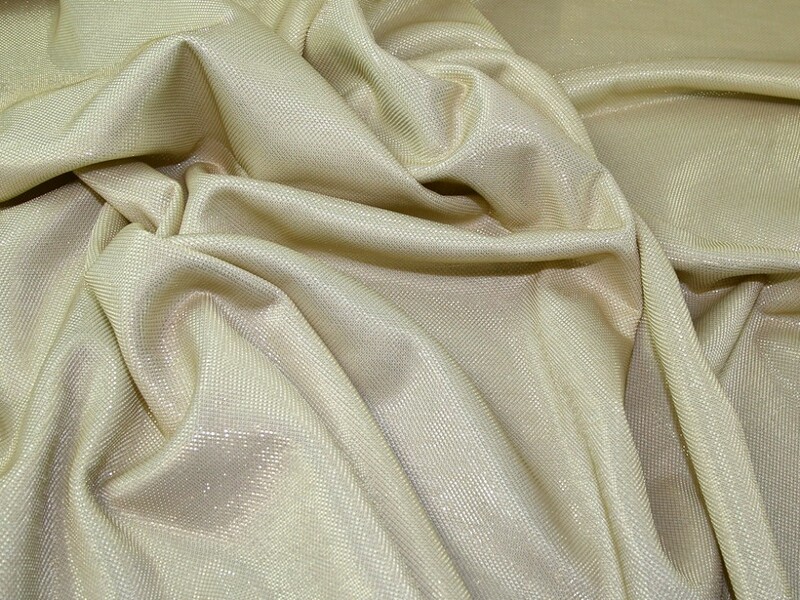 This amazing fabric is constructed from an ivory coloured scuba base with a layer of knitted lurex fibres layered over the top. It sparkles and catches the light as it moves! Please note, this fabric may have very slight fault marks (which can be cut around) and this is reflected in the price.